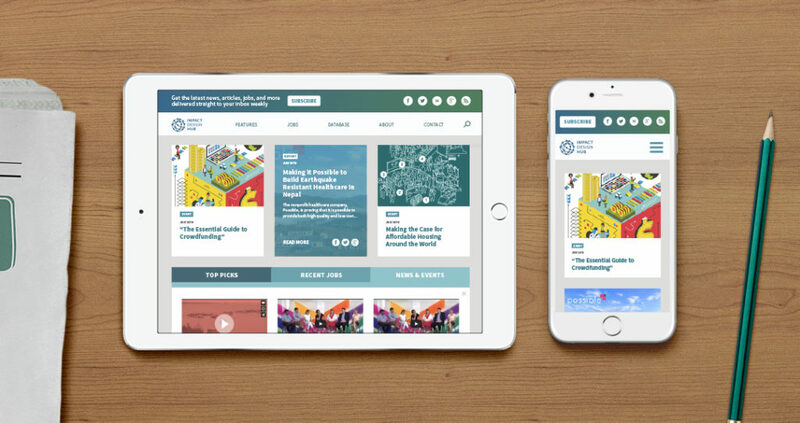 A project of the Autodesk Foundation called Impact Design Hub is an online news portal for content featuring design that makes an impact on people and the planet. Our challenge was to make the website more accessible to their viewers with User Experience Design. The organization’s many priorities included being more engaging to their viewers, making it easier to access content (user experience design), and accessible to their viewers (responsive web design). In addition, it was important to make better use of the screen real estate and create a smooth and elegant interface. To meet these priorities head on, we drastically redesigned their site to be user-centered and mobile-friendly. Presenting users with filters for finding content content by subject, simplifying navigation, and optimizing images and designing flexible layouts, we made the site faster to access and easier to use. To top it off, we made the website load twice as fast, and be as secure as modern day online banking. The impact design community of architects, makers, do-it-yourselfers, and graphic designers can now spend more time changing the world and less time searching for useful content!